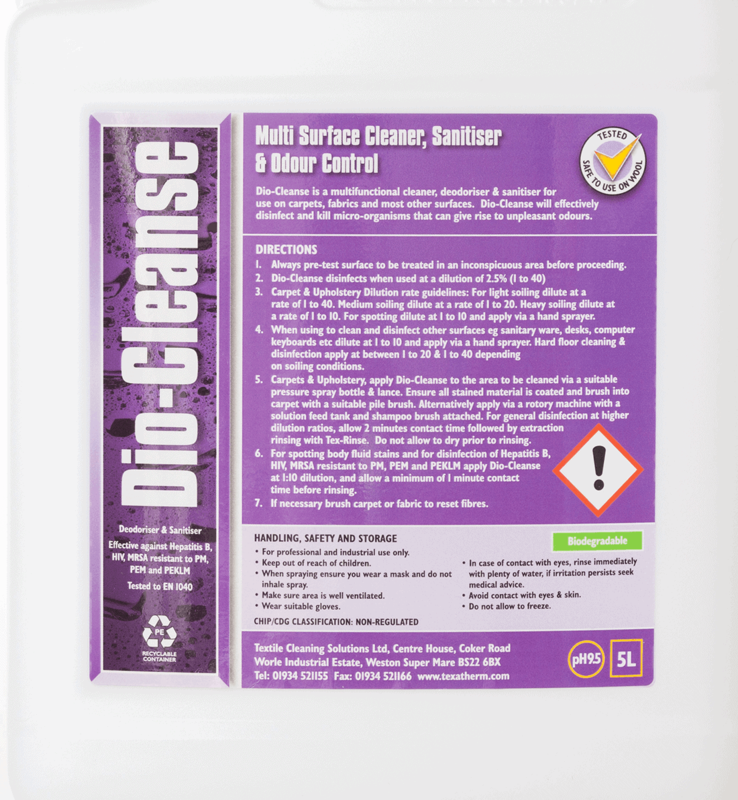 Dio-Cleanse is a multi-functional cleaner, deodoriser and sanitiser for use on carpets, fabrics and most other surfaces. Effective against Hepatitis B, HIV, MRSA Resistant to PM, PEM & PEKLM. 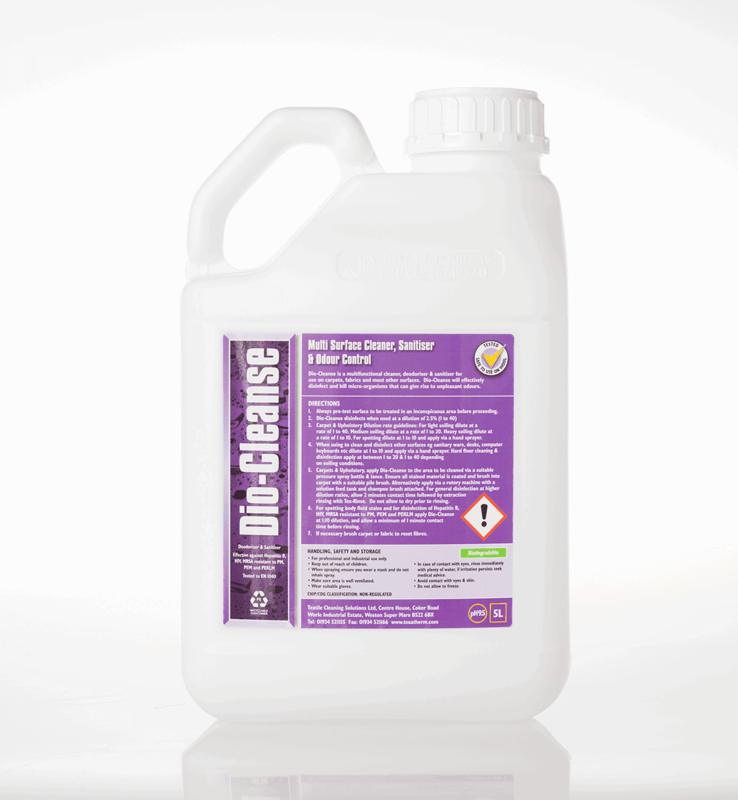 Dio-Cleanse is a multi-functional cleaner, deodoriser and sanitiser for use on carpets, fabrics and most other surfaces. Dio-Cleanse will effectively disinfect and kill micro-organisms that can give rise to unpleasant odours.